What a year 2012 was for Epsom Races. If we can recall that long ago, The Queen marked the start of her Diamond Jubilee weekend by attending Epsom Racecourse for The Derby. The Chairman of Epsom Downs Racecourse Anthony Cane said of the Queen’s involvement with Epsom Derby “At the end of the day, her love is to come here. You have to remember, she comes here in a normal year in a private capacity not on an official visit. But she comes because she loves it, and this time it’s her one trip to Surrey in the Diamond Jubilee. “In the 16 years I have been involved with events at Epsom Racecourse, The Derby has been seen to be getting bigger, more glamorous than ever. Not only is this evident off the course but also on the course. Hayley Turner is the most successful female Flat jockey in England; in 2012 she became the second woman only to ride in the Derby. She then picked up The Sporting Achievement accolade at The Glamour Awards hosted by the flamboyant Graham Norton. Roll on Epsom Derby 2013. 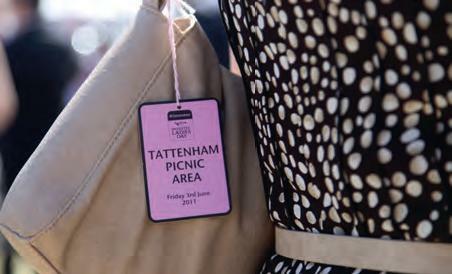 It will be the 234th Epsom Derby in 2013 on Saturday 1 June and has received an entry of 442. This most famous race is run over a mile and a half with a wonderful prize fund of at least £1,250,000. Current owners who take their racehorses to the Investec Derby is the renowned Aga Khan, who has had four winners, Shergar (1981) Shahrastani (1986) Kahyasi (1988) and Sinndar (2000). For 2013, he has 28 entries. Last year trainer Aidan O’Brien’s Camelot won the 2012 Investec Derby ridden by son Joseph . A great father and son combination! The Epsom Derby Corporate Hospitality Packages for 2013 offer a wide choice of entertaining opportunities from 31st May (Ladies Day) to 1st June (The Derby) from Open Top Buses to silver service gourmet dining.